Monster High student Twyla is a shy young girl. Her father is the Boogey Man. Her best friends are Howleen Wolf and Spectra Vondergeist. Twyla has a pet that is a dust bunny with the name Dustin. 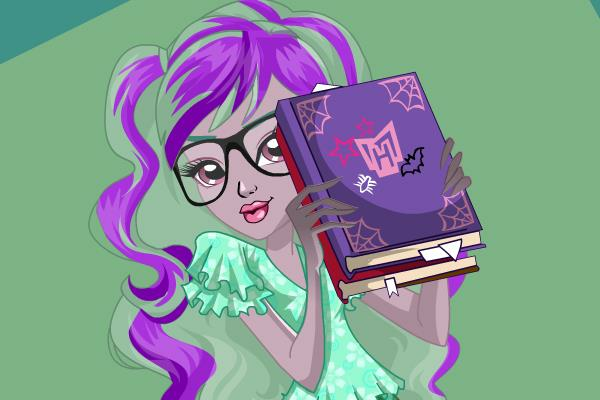 In this fun dress up game you can dress Twyla Scaremester up for studying at the Monster High School Libary.